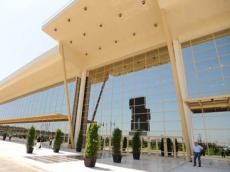 Plastex Caspian 2012, the 2nd Caspian International Plastics and Rubber Exhibition, will take place from 15 to 17 May at the Baku Expo Center. Expectations are high for this year’s event thanks to a growth of 27% in chemicals production in Azerbaijan last year, and this growth is expected to continue with the construction of the Oil and Gas Petrochemical Complex. Additionally, a urea plant in Sumgait is scheduled for completion in 2014, and in the same city a ‘chemical village’ will be developed, where small businesses will use raw materials to turn out finished chemical products. 25 companies will exhibit at Plastex Caspian this year, with Austria and Germany increasing floor space at their national stands to make room for the extra companies they are bringing to the event. Newcomers from Italy, Bosnia and Herzegovina, and India will be exhibiting, and over 30% of floor space will be taken up by companies from Azerbaijan. Plastics is a key sector for every area of Azerbaijan’s economy, from agriculture to the service sector. Plastex Caspian has been organised to reflect this, being divided into the following sections: technology and hardware for the production and processing of plastics and rubber, technology for the pre-processing of materials and recycling technology, extrusion devices and apparatus, blow moulding machinery, thermoplastics machinery and equipment, equipment for the production of polystyrene foams and the processing of thermosetting plastics, welding apparatus, auxiliary equipment, components, dies, control and measuring instruments and automation processes, raw and secondary materials for the production of plastics, and products for plastics and rubber processing. All this means that Plastex Caspian is an excellent opportunity to forge business links, sign contracts, and gain an insight into the global plastics and rubber industry and its latest development patterns. This will in turn help to introduce the advanced technologies Azerbaijan needs to continue modernising its economy. The exhibition is organised by Iteca Caspian and ITE Group plc, along with its international partners ITE London, EUF in Turkey, GiMA in Germany, and ITE Gulf in Dubai. The exhibition’s partners are Azerfon LLC, AZAL, Greenwich Travel Club, Hilton Baku, and Caucas Point Hotel. The exhibition is officially supported by the Ministry of Industry and Energy of the Republic of Azerbaijan, the National Confederation of Entrepreneurs (Employers) Organisations of Azerbaijan Republic, and the Azerbaijan Export & Investment Promotion Foundation.